SANTIAGO, Chile, August 24, 2018 – Chile-based growth agency IDS – a leading provider of inbound marketing, sales and client success services in the local space – proudly announces it has won HubSpot’s Inbound Growth Story Award for the second consecutive year. HubSpot’s Inbound Growth Award celebrates its partner agencies' inbound marketing success by highlighting their clients’ rapid growth using the inbound philosophy and methodology. HubSpot is the world’s leading inbound marketing and sales platform and works hand-in-hand with Agency Partners to grow their businesses through inbound software, services and support. The coveted prize was awarded to IDS based on the high-caliber results achieved for Rankmi, an HR SaaS platform with more than 100 clients in Chile and Latin America. Rankmi consolidates key talent management processes like performance reviews, work climate and employee engagement, among others, to drive data-based decisions. HubSpot is proud to call IDS agency a partner. They have been recognized for their innovative and strategic inbound approach to help their clients grow better. VP Global Partner Program and Strategy at HubSpot, Inc. Drawing on almost five years’ experience applying and expanding its inbound expertise in the Chilean market, IDS was able to increase Rankmi’s client base 400 percent in one year, using high-impact inbound strategies to generate high-quality leads and improve close rates, while reducing CAC and improving CLTV, like content pillars nurturing campaigns, sales enablement and conversion rate optimization. For more information on Rankmi’s success story with IDS, please visit this link. 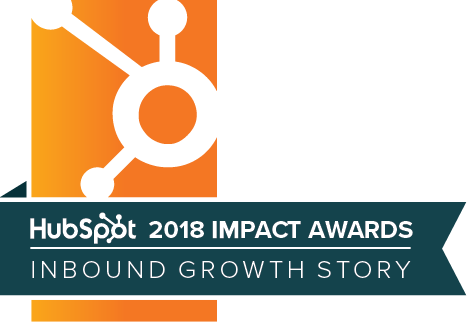 2018 marks the second consecutive year IDS receives HubSpot’s Inbound Growth Story award, after being distinguished in 2017 for increasing Chilean higher education institute Iplacex’s client conversion rate 3,500 percent. In 2017, IDS also became Hubspot’s first Platinum Partner agency in Chile, offering services both in English and Spanish. Becoming a Platinum Tier HubSpot partner agency puts IDS in the top three percent of HubSpot’s more than 3,000 partners in the world. In less than four years, IDS Agency has proven the effectiveness of the inbound method by partnering up with clients in Chile, Mexico, Brazil and Colombia to increase leads, customers and revenue using inbound strategies. “Winning HubSpot’s 2018 Inbound Growth Story Award not only proves the power of the inbound philosophy to positively impact the bottom line, it also further cements IDS Agency as a leader and pioneer of inbound in Latin America as a result of working with clients to enable strategic business change geared towards customer growth,” said IDS Agency CEO and founding partner Ismail Aly. “IDS has come a long way not only as a team but also as a strategy-focused partner for our clients, as opposed to traditional, channel-based agencies that operate in silos and focus on tactics. This model is being disrupted because it fails to engage customers and align sales, marketing and client success to grow the business. We have applied this approach to our own business and completely changed the way we deliver services as a result. The benefits for our clients speak for themselves,” said IDS Agency founding partner Ranya Barakat. “HubSpot is proud to call IDS agency a partner. They have been recognized for their innovative and strategic inbound approach to help their clients grow better.” – David McNeil, VP Global Partner Program and Strategy at HubSpot Inc.
IDS Agency works with mid- and large-size companies to develop effective inbound marketing strategies to boost qualified lead generation through content marketing, automation software, inbound sales and growth-driven design. HubSpot is the world’s leading inbound marketing and sales platform. Since 2006, HubSpot has been on a mission to make the world more inbound. Today, over 10,000 customers in 65 countries use HubSpot’s software, services and support to transform the way they attract, engage and delight customers. HubSpot’s inbound marketing software ranked #1 in customer satisfaction by VentureBeat and G2Crowd, includes social media publishing and monitoring, blogging, SEO, website content management, email marketing, marketing automation, and reporting and analytics, all in one integrated platform. Signals, HubSpot’s award-winning sales application, enables sales and service teams to have more effective conversations with leads, prospects and customers. HubSpot is headquartered in Cambridge, Massachusetts, with offices in Dublin, Ireland, and Sydney, Australia, and has been recognized by Inc., Forbes and Deloitte as one of the world’s fastest-growing companies. Learn more at www.hubspot.com.